Switches for the bar ends. I used these IP67 round ones from Jaycar which are water resistant. Just the right diameter and black so unobtrusive. $6 each. Switches for under the handlebars. These flat membrane switches are perfect. $1.50 each. The Di2 uses ‘moment’ switches which means that when pushed there is a change of state and then they return to the original state (you can check this with your multimeter by pushing the button and seeing the resistance change and then return to the original value). 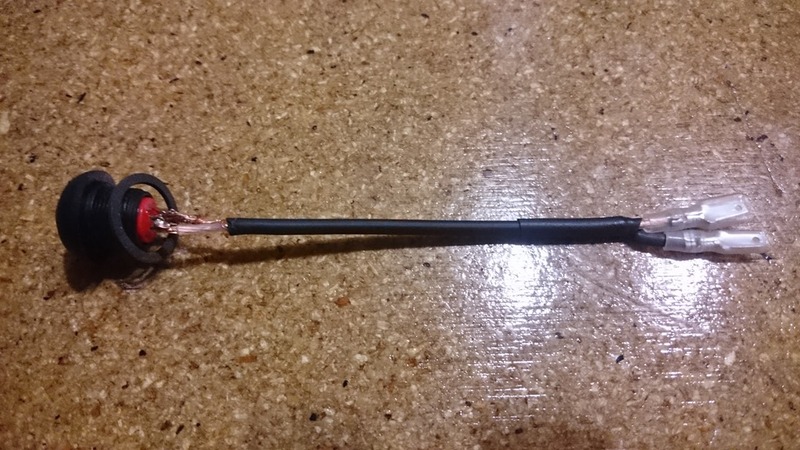 Step 1: Solder the plug onto one end of a short (100 mm) length of two-core wire, and male crimp connectors on the other end. 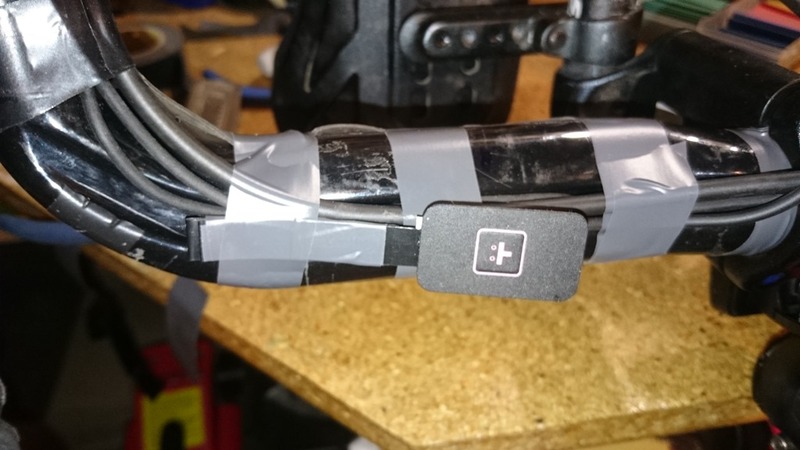 The connectors will allow you to remove the plug from the aero bar. 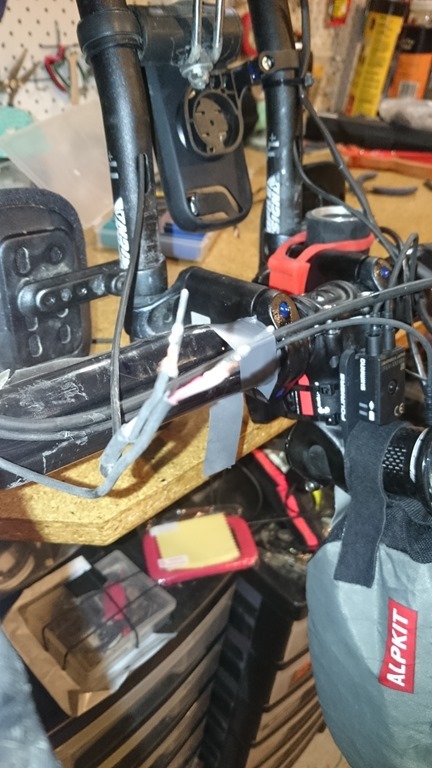 Step 2: Fit female crimp connectors to the cable and run it through the aerobar. My Profile Design T1 bars have a slot on the bottom, just in front of the mount. Step 3: Cut the E-Tube wire to about 200 mm. Remove the outer housing to expose the red and the black wires. Step 4: Install the E-Tube wire to the bottom socket on the shifter. 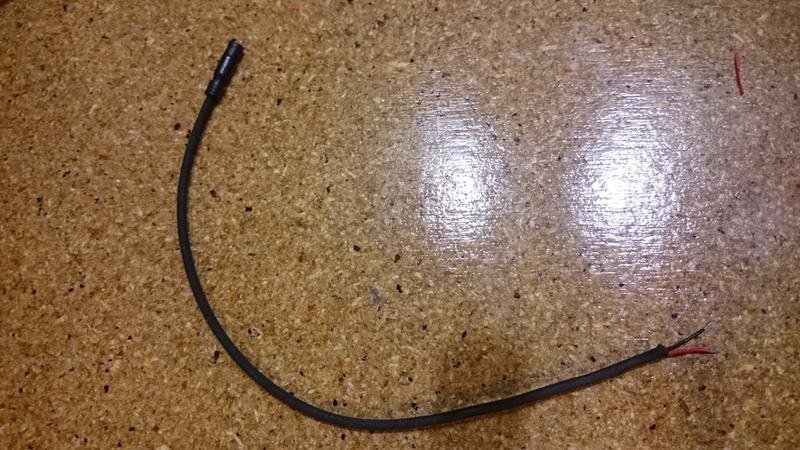 Be sure to use the E-Tube tool to insert the wire securely into the socket. Step 6: Prepare the membrane switch by folding the ribbon cable back on itself in 2 cm sections so that it is shorter and the pin socket is sticking out at the end. Put some tape around it to hold the folds in place. 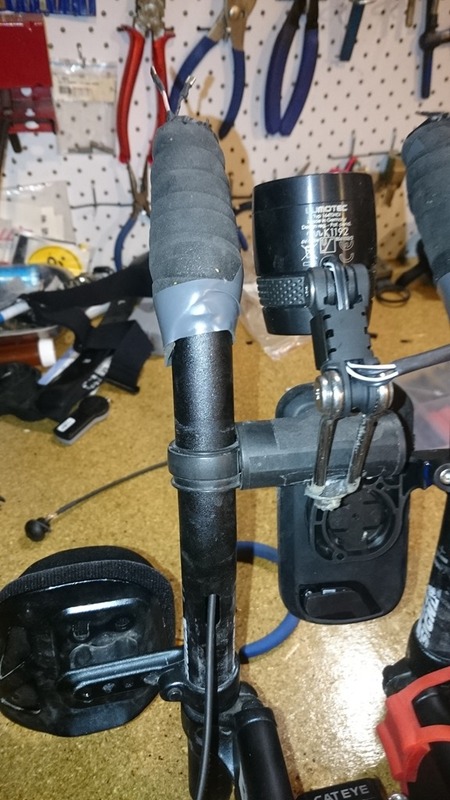 Insert the two pin connectors with the wires to the socket and tape it in position under your handlebars. 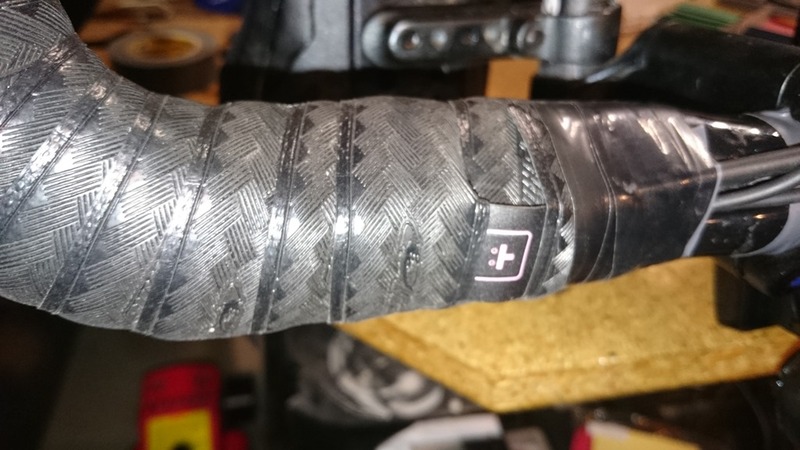 Step 7: Wrap your handlebar tape, being careful to leave the membrane switch exposed. Step 8: Repeat the process for the other side! Step 9: Drill holes in the bar plugs the diameter of the button plug. 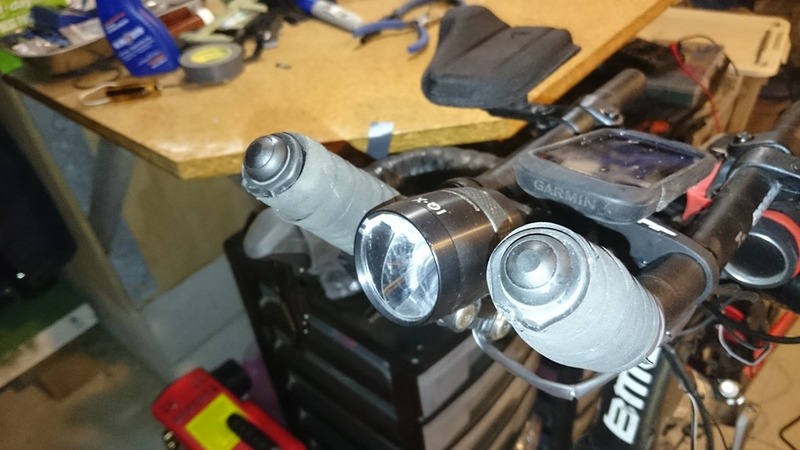 Insert the plugs to the aero bars (easier to do this without the button switches). Connect the button plug to the crimp terminals coming out the aero bar. Feed the cable in and then push in the button switch. 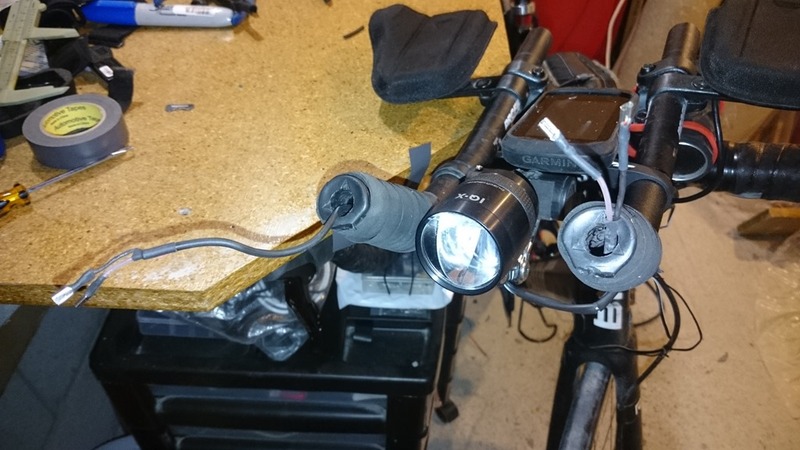 Step 10: Connect the bicycle to a computer running the Shimano E-Tube Project Software. When it asks if you have a ‘Sprint Shifter’ indicate yes. 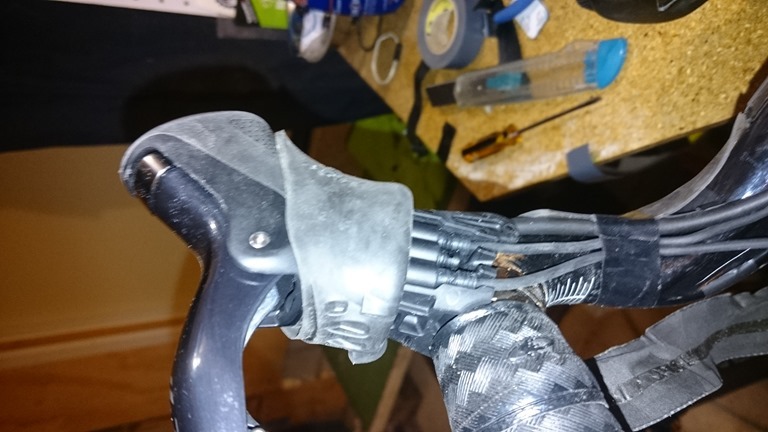 You should now be able to change the rear derailleur from the aero bars or the membrane switch under your handlebars. It’s a nice modification—and only cost about $40 in parts, but lots of (fun) time making it work.